Metropolitan Transportation Authority (MTA) Chairman and CEO Thomas F. Prendergast today announced the appointment of Veronique “Ronnie” Hakim as the eighth permanent president of MTA New York City Transit, which moves more than 8 million daily customers on subways, buses, the Staten Island Railway and paratransit service. Hakim is a career transportation professional who returns to the MTA after an earlier 23-year career at the agency. For the past year and a half she has served as the executive director of NJ TRANSIT, which operates 12 commuter rail lines, three light rail lines, 261 bus routes and Access Link paratransit service across the state of New Jersey. She previously served nearly four years as Executive Director of the New Jersey Turnpike Authority. 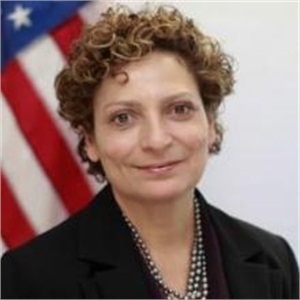 In her time at the MTA, Hakim served as Special Counsel at New York City Transit as well as executive VP and general counsel at MTA Capital Construction, where she provided senior management with policy and legal advice on megaprojects such as the Second Avenue Subway, East Side Access and the 7 train extension to Hudson Yards. She holds a bachelor’s degree in political science from the University of Rochester and a juris doctorate degree from the Pace University School of Law. Hakim will begin serving as president on December 28. She replaces James L. Ferrara, the President of MTA Bridges and Tunnels, who has been serving as Interim President of New York City Transit since the August retirement of Carmen Bianco. New York City Transit serves more than 5.6 million subway customers and 2.5 million bus customers on an average weekday. Its 47,000 employees provide mass transit and paratransit service throughout the city, including operating almost 6,400 subway cars at 469 stations, and more than 5,700 buses at more than 15,000 bus stops.